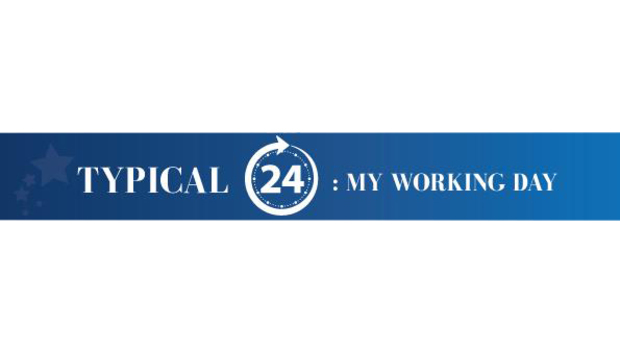 Yes, from day-to-day my time is spent performing a wide variety of tasks; from liaising with employees to more customer-facing activities. Yes. Creativity is at the forefront of the company; innovative software is what makes us stand out from the crowd. My passion is managing growth and to guarantee this continues I spend the majority of my time making sure our software enables our small business and accountancy customers to work more efficiently and collaboratively. Yes, I’ve personalised my desk with motivational images from a sporting event. I’m an avid runner having run a marathon, and images of great sporting achievements inspire me to realise my goals. As well as these, I have photos of my children and some of the awards the company has won over the years. Yes, throughout my career I’ve relied on my creative streak to ensure software stands out. You won’t get anywhere by following the crowd. No, sadly I can’t say I’m a very quirky person. I almost always work with colleagues. Ideas flow and productivity often increases as a result. I work nine hours a day, although I will often be replying to emails before I arrive and after I leave the office. I spend around two hours on email; another two to three hours on calls and the rest of the day will be filled by meetings. I use social media to oversee the IRIS and KashFlow Twitter accounts and blog pages but I know I should engage with other users more often. The part I relish the most has to be knowing we are making a difference to our customers. We do this by offering them the most creative, cost-effective software possible, ensuring small businesses are free from the daily strain of accounting so they can spend this time growing their business. Personally, I see that as more important than any financial success IRIS may enjoy. I enjoy listening to music at home but I tend not to listen to any once I’m at work. I usually buy a salad locally. Yes, I socialise with my colleagues at events outside of working hours and once a quarter we get together for a meal. 16. Are there any tasks (through your career) you’ve been especially glad to get rid of? Yes, I absolutely hated working for a company where I had to manage people out of the business. I’m so proud that I’m now part of the IRIS team which is much stronger than any I’ve worked in previously. There is no last task of the day. I may leave the office but I will be emailing or taking calls throughout the evening. Work doesn’t end until I turn off my phone when I go to sleep. Most days I will either be running or going to Pilates after work. If I’m not exercising, I’ll be socialising with my family. Yes, they continue to come through to my phone during the evening and I can’t help but reply. I would tell my 20 year old self to enjoy the journey. At that age I was often too busy to enjoy the work I was doing. I would love to be Prime Minister for the day to see what that would be like. I would make sure the Government seriously invests in software and takes the industry seriously as if it doesn’t I believe we will begin to struggle over the next 30 years as a nation. I answered them using my mobile phone. Yes, I often email using my phone when I’m on the move. « C-Suite Career Advice: Caroline Wong, Security Initiatives Director, Citigal, Inc.